The Airbus A340 is a long-range widebody commercial passenger airplane manufactured by Airbus. It is similar in design to its sister, the A330, but uses four engines rather than two. It was initially designed as a smaller replacement for early generation Boeing 747's, but the latest variants now compete with Boeing's 777 series of aircraft on long-haul and ultra long-haul routes. Airbus' new aircraft was launched in 1988, as a long-range complement to the short-range A320 and the medium-range A300. At the time the newest long-range widebody, the twinjet Boeing 767, was at a disadvantage against aircraft such as the 747 because of the ETOPS problem: two-engined aircraft have to stay within close range of emergency airfields in case one of their engines malfunctions. The four-engined A340 design was an attempt to make a new-generation competitor for ETOPS-immune aircraft like the Boeing 747. Airbus' engineers designed the A340 in parallel with the twin-engined A330: both aircraft share the same wing and similar fuselage structure and borrow heavily from the advanced avionics developed for the A320. Original intentions were to use the new superfan engines of IAE (International Aero Engines) on the A340 but IAE decided to stop their development and the CFMI CFM56-5C4 was used instead. When the A340 first flew in 1991, engineers noticed a potentially major design flaw in the first model: the wings were not strong enough to carry the outboard engines at cruising speed without warping and fluttering. To alleviate this an underwing bulge called the plastron was developed to fix airflow problems around the engine pylons. The modified A340 began commercial service in 1993 with Lufthansa and Air France. Initially there were two models of A340, the A340-200 and A340-300. The 200 is shorter than the 300 and has a smaller capacity but can fly farther. 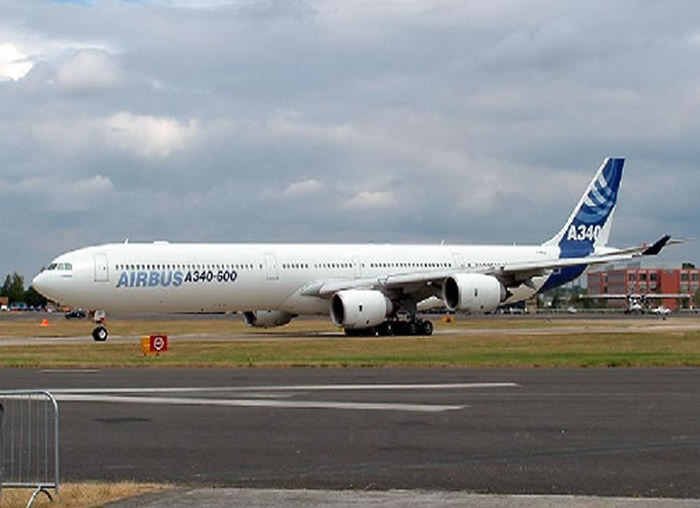 In 1997, Airbus launched two lengthened variants of the A340, the ultra-long-range -500 and high-capacity -600 series. Both of these models entered airline service in 2002. 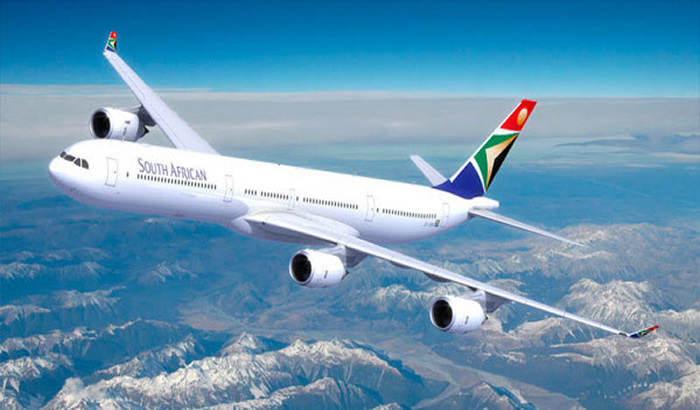 The A340-200, with 261 passengers in a three-class cabin layout has a range of 7,450 nautical miles (13,000 km) and in a 239 seat configuration has a range of up to 8,000 nautical miles (14,800 km). A shortened version of the A340-300, it is powered by four CFMI CFM56-5C engines. The A340-200 was launched in 1987, and first flew April 1, 1992. This variant sold in relatively small numbers and is no longer being offered to customers. An A340-200 based variant with additional fuel capacity giving MTOW of 275 tonnes, its range with 232 three-class passengers is 8,100 nautical miles (15,000 km). It is powered by the 34,000 lbf (151 kN) thrust CFMI CFM56-5C4s similar to the -300E. One example was bought by the Sultan of Brunei. Other A340-200s were later given performance improvement packages (PIPs) which helped them achieve similar gains in capability. Those aircraft are labeled A340-213X. 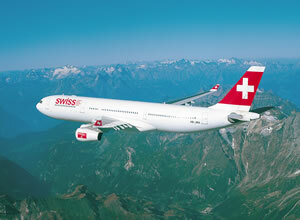 The A340-300 flies 295 passengers in a typical three-class cabin layout over 6,700 nautical miles (12,400 km). This is the initial version, having flown on October 25, 1991, and entering service with Lufthansa and Air France in March, 1993. It is powered by four CFMI CFM56-5C engines similar to the -200. The direct Boeing equivalent is the 777-200ER. The A340-500 was the world's longest-range commercial airliner for a short time, until the introduction of the Boeing 777 "Worldliner". It can fly 313 passengers in a three-class cabin layout over 8,650 nautical miles (16,000 km). Singapore Airlines, for example, currently uses this model for its Newark, New Jersey-Singapore nonstop route, an 18-hour journey that is the longest non-stop commercial flight in the world; the airline is able to do this with a reduced cargo load. It is said that the A340-500 can go from London to Perth, Australia. 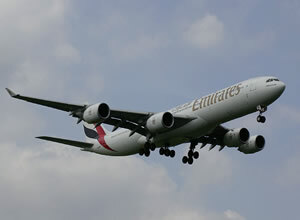 It made its first flight on February 11, 2002, and was certified on December 3, 2002, with early deliveries to Emirates. Compared with the A340-300, the -500 features a 3.3m fuselage stretch, an enlarged wing area, massive increase in fuel capacity (around 50% over -300), slightly higher cruising speed, larger horizontal stabilizer, and smaller vertical tailplane. Like the 777-300, the -500/-600 has taxi cameras to help the pilots during ground maneuvres. 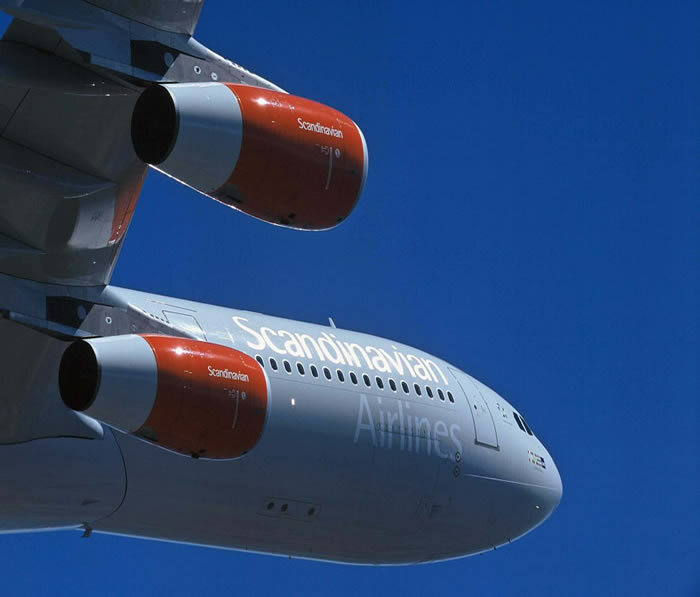 The A340-500 is powered by four 53,000 lbf (236 kN) thrust Rolls-Royce Trent 553 turbofans. The direct Boeing equivalent is the 777-200LR. Designed as an early-generation Boeing 747 replacement, the A340-600 flies 380 passengers in a three-class cabin layout over 7,500 nautical miles (13,900 km). It provides similar passenger capacity to a 747 but with twice the cargo volume and at lower trip and seat costs. First flight of the A340-600 was made on April 23, 2001. Virgin Atlantic began commercial services in August, 2002. 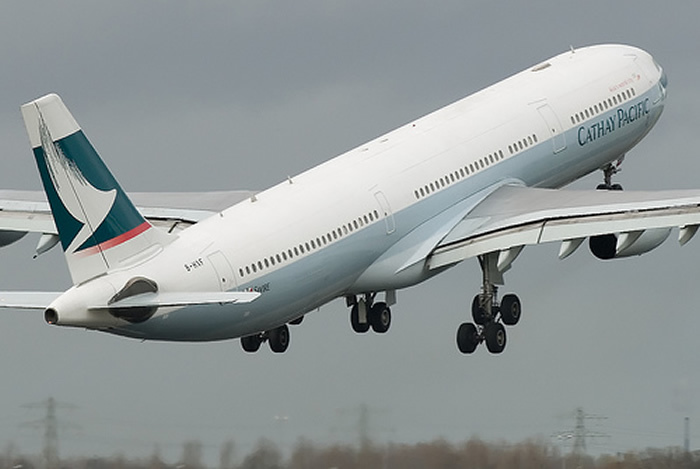 Cathay Pacific uses the plane on its nonstop service between Hong Kong and New York City (JFK). It is more than 10m longer than a basic -300, making it the longest airliner in the world, more than four metres longer than a Boeing 747-400. It is powered by four 56,000 lbf (249 kN) thrust Rolls-Royce Trent 556 turbofans. It also has an additional four-wheel undercarriage on the fuselage center-line to cope with the increase of the MTOW. 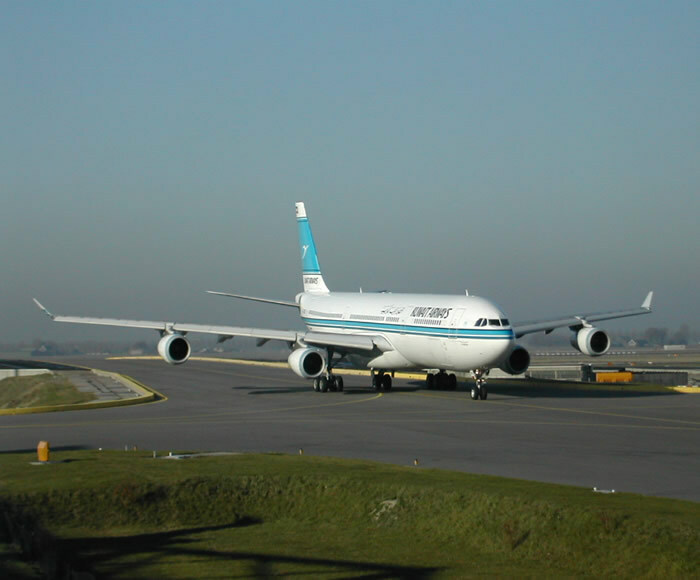 The initial seven A340-600 aircraft were delivered with overweight wings. 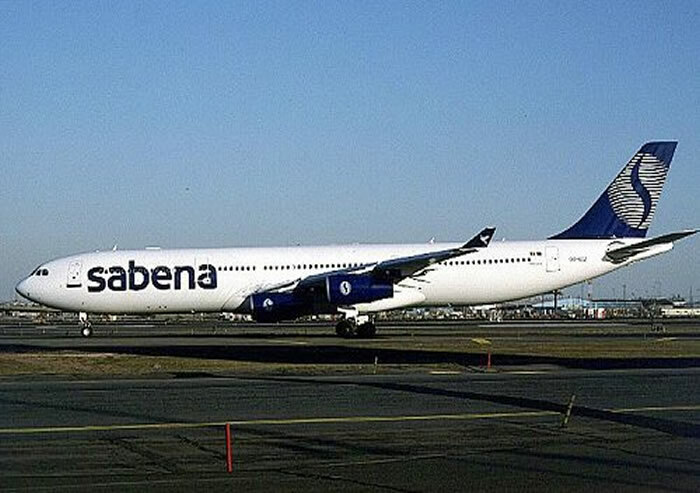 After the A340-600 launch customer, Virgin Atlantic, elected to receive replacement aircraft, these airframes were delivered at a reduced price to Iberia Airlines and Cathay Pacific. The direct Boeing equivalent is the 777-300ER.